We are the leading provider of air conditioning in Yorkshire to commercial, retail and industrial premises across Bradford and Leeds. We can fit air con in schools, air con in mosques and air con in shops. We’re the experts at air con for businesses in Bradford, Leeds and beyond. Did you know an air conditioning system can provide heating as well as cooling? Our priority is to assess the needs of your business and offer the best solution for your budget. 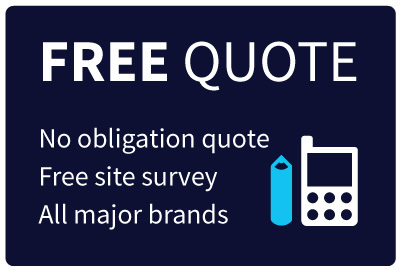 A free site survey allows us to consider your site and discuss your requirements. From a basic comfort cooling air con system to a heat pump and control installation, all the way to a complex, bespoke VRV or VRF air conditioning solution, we have the knowledge and skills to make it happen. Ask for a quote now for air conditioning in Yorkshire.